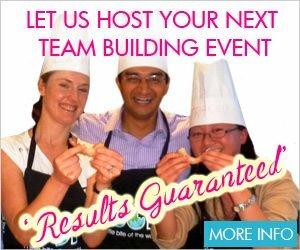 Why choose cooking classes with VictorsFood in Sydney? VictorsFood Cooking Classes in Sydney are limited to only 8 people, assuring you totally individual attention. You’ll get to see everything and get involved. Victor is a qualified chef and certified teacher so you learn professional cooking techniques. Guest chefs are brought in for extra personal attention and insider knowledge. Cooking classes are mostly hands-on – the best way to learn – with just enough demonstration. Start with the basics of cooking – knife skills, making sauces and stocks, preparation and presentation – things that don’t often get taught in cooking classes. A VictorsFood cooking class was a great birthday gift for my husband. The class was very comprehensive and we enjoyed a lovely mealSo much fun; Great way to spend the day.